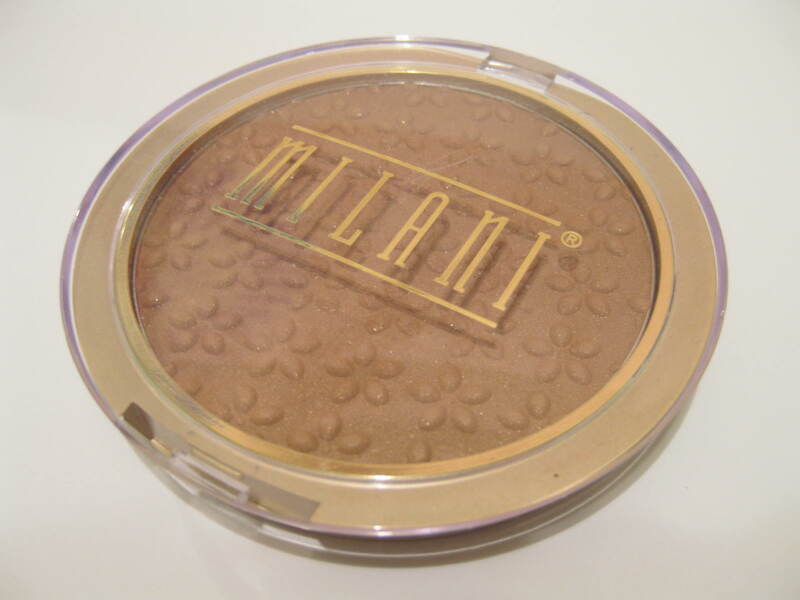 I picked up this Milani Powder Bronzer in "02 Medium" on a whim while at CVS. It comes in 2 other colors: Radiant and Light. I've been looking for a glowy bronzer with more "sheen" than shimmer but nothing matte. I just want something that'll give me a glowy, fresh, dewy type of look. Here's how this went.. The actual bronzer itself contans silver glitter. I did want a bronzer with shimmer since I expected it to give me a nice "glow." 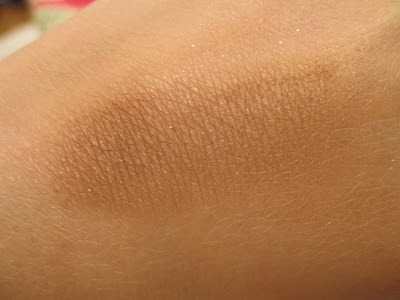 The weird thing is, swatched, the bronzer is so gorgeous. I can see the beautiful bronzey color with shimmer but wearing the bronzer, it looks so flat that it almost looks matte with random glitter particles if you can spot them. Another weird thing is when I apply it, it just disappears on me. This is not a light bronzer either -but it completely disappears unless I add a lot -so it is buildable. 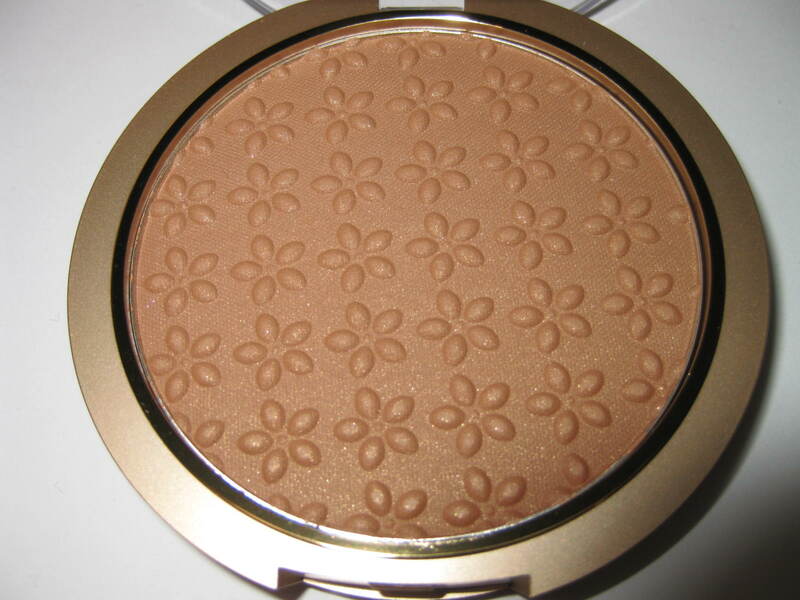 When I add more, I get some color but it's more "brown" than bronze and to me it works more as a contouring shade than a bronzer. I wanted "glow" but I got "matte" and "sculpted" instead. The product completely rubs off after about 4 hours with no primer. I'm sure it'll last longer with a good primer. The Color: Bronzed brown with reddish undertone and silver glitter. 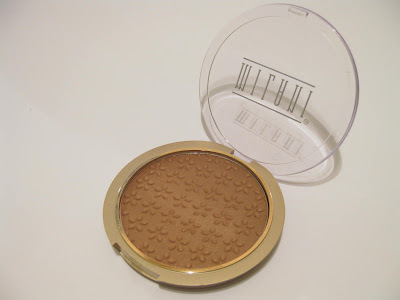 Overall: This isn't the bronzer that I've been looking for as it felt like more of a contouring product than a bronzer and that's why I gave it a B-. One reason to that is most likely the color I chose. Medium was the darkest and brownest shade so maybe I should've gone with "Light" or "Radiant." I in no way mean to say that this is a bad product -I just expect a bronzer to be more about bronzing than contouring.. right? Also, the shimmer kind of tricks you because you'd expect it to be glowy or semi-shimmery but instead, it's nearly completely matte on the face. I really do think this would be good for contouring as it is buildable (but sheer if only one layer is applied) and almost matte. I know everyone talks about Nars Laguna but I recently got it and love it! great review! Oh I've never tried Laguna yet -I've only swatched it in the store. I've been trying to find a budget friendly bronzer but I do love NARS blushes and eyeshadows. =P Thanks for the recommendation. I have tried Bonne bell glimmer bronze in gold n glitz and Rimmell natural bronzer in sundance (I think). Both give a nice glow but you should be light handed with your application.